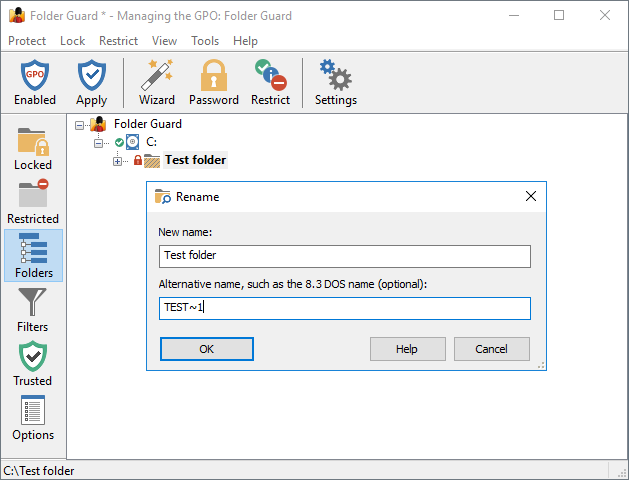 You can use the Folder Guard application to store the protection settings directly in the GPO. 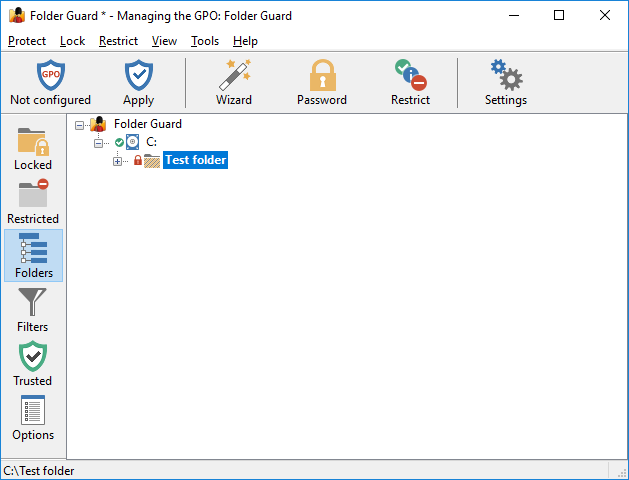 For this step, make sure Folder Guard software is installed on the server, by running its setup file. Notice that the title bar of the application now tells you which GPO object it's currently managing. 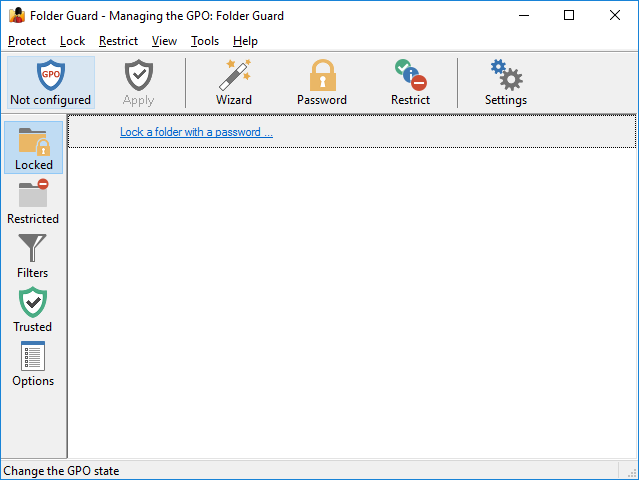 Also notice that the Protect and Pause buttons no longer appear on the toolbar, and instead the GPO status button is shown there. 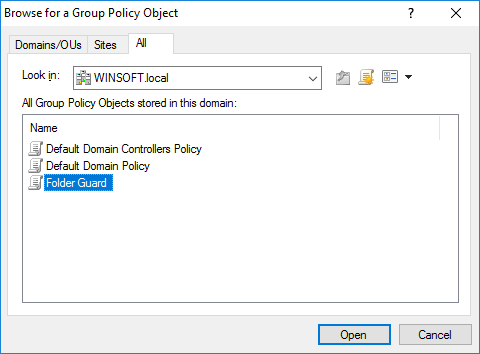 Use this button to change the status of the GPO from Not Configured to Enabled when you have the protection settings configured as you need them. 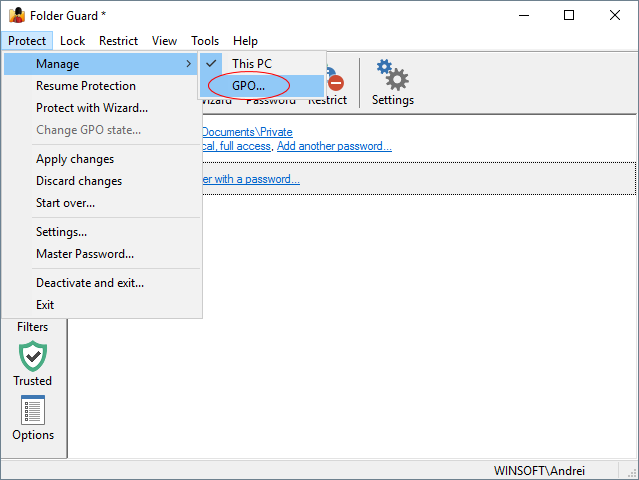 Remember to press the Apply button to save the current settings to the GPO, after making changes. 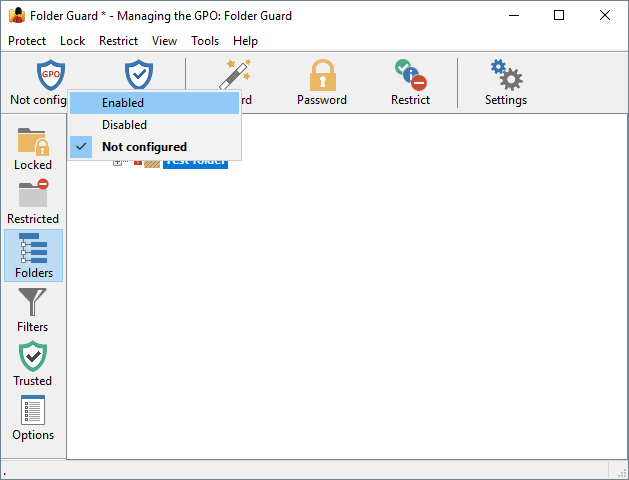 Also remember to use the GPO button on the toolbar (or the Protect - Change GPO state command on the menu) to change the state of the GPO from Not Configured to Enabled when you have the GPO configured and ready to be used on the network. (If you don't set the GPO status to Enabled, its settings will not be applied to the network.